There is so much to van life than most people perceive. It is more than living in a vehicle and finding the nearest toilet. For those who’ve tried it, it is a representation of finding genuine happiness in the things that truly matter. Van living means challenging the norm, experiencing unusual adventures, embracing discomfort, and enjoying every moment as it happens. Van life is definitely not for everybody, but if it is calling you, you can answer and reap the rewards. You do not even have to start with a big budget. After all, you can look for used vans for sale and flip a Toyota HiAce into a suitable camping vehicle. The first thing you need to do is plan the conversion in detail. Of course, the interior layout heavily depends on the dimensions of your HiAce van. 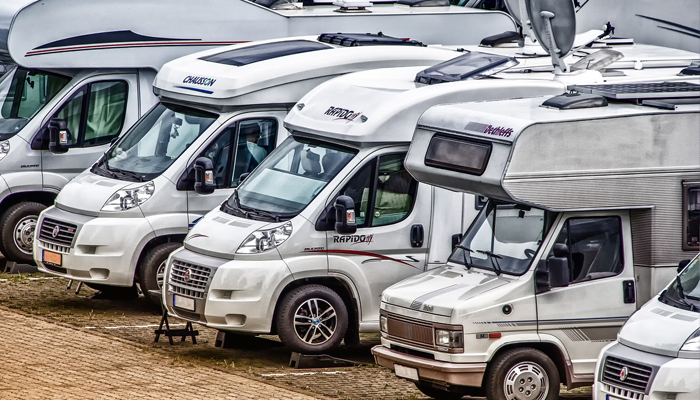 However, you also need to think about what you want out of your camping vehicle. Write down a list of features you want to include in your van. If you’re taking the adventure with another person, it is best that you ask for their ideas and suggestions too. You can get various inspirations by researching DIY camper van tips. You can create cardboard templates to mock up the interior elements, including the bed and the cabinets. Doing this will show you how everything fits. However, keep in mind that once you try to install the components in the actual van, you will still go through some trial and error. The rule of thumb is, if it doesn’t work, move on to the next option. No matter how careful and detailed you were in planning your budget, you will still spend a significant amount of money on this project. However, your van conversion does not have to be a bottomless money pit. Remember that van living is essentially a way to keep things simple. For instance, whether you’re sleeping in a tent or in a van, a Coleman stove will cook just the same. So, even if you have more space than a tent, you should still go for the simpler options. You can also take this opportunity to be creative. Try to repurpose affordable household items. When it comes to electricity, it will be useful to have solar panels. They can let you avoid spending money on fuel for a noisy generator. What’s more, solar panels are a more sustainable source of energy. Try looking for suppliers that offer solar panel kits for camping and recreational vehicles. They will be relatively easier to install. Thanks to the Internet, it has become easier to learn how to flip a van into a camping vehicle. So, if you are not certain where to begin or you need more details about a specific aspect of your project, you can always use Google’s search engine. Some popular sites related to this topic include DoItYourselfRV.com and BuildACamperVan.com. These days, it is common to find tutorials on YouTube. You can even join online forums and ask advice from people who have actually tried van living. If you’re ready to try out van living and you are looking for an affordable Toyota HiAce, do not hesitate to contact Carused.jp. We have plenty of options available for you! We Might See Flying Cars by the 2020 Olympics!